andhrazone: KCR in competition with Late YSR? 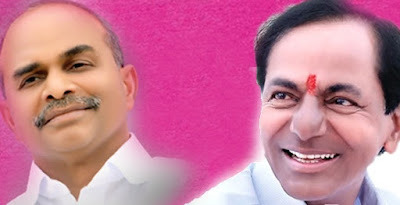 KCR in competition with Late YSR? Telangana Chief Minister K Chandrasekhar Rao seem to be competing with former United Andhra Pradesh Chief Minister, Late YS Rajasekhar Reddy. YSR back then started irrigation projects worth 48000 Crore under the name of Jalayagnam. Later on the projects estimations ran in to One Lakh Crore. But none of the project got completed and Jalayagnam is often called as Dhanayagnam because the schemes only helped contracts to flourish. KCR seem to be competing with YSR in announcing costly projects. Only two projects were announced at the cost of whopping One Lakh Ten Thousand Crores. Kaleshwaram Project is estimated to cost 75667 Crore while Palamuru – Rangareddy project will cost 36000 Crore. This is more than the total budget of Telangana this year. Whatever it may be, if KCR completes these projects in time unlike what YSR did, people will remember him for generations together.